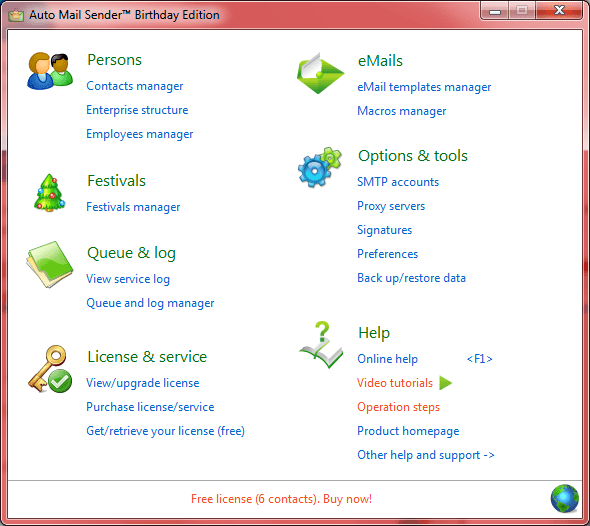 Click here to download the package of compressed screenshots. 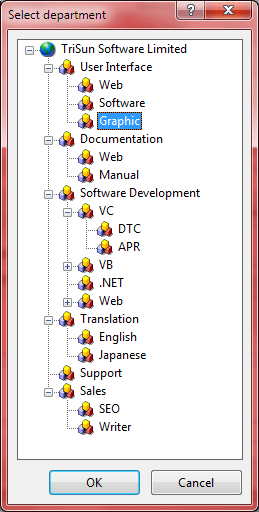 The main interface - It is your main work interface, all other interfaces and functions are called from here. 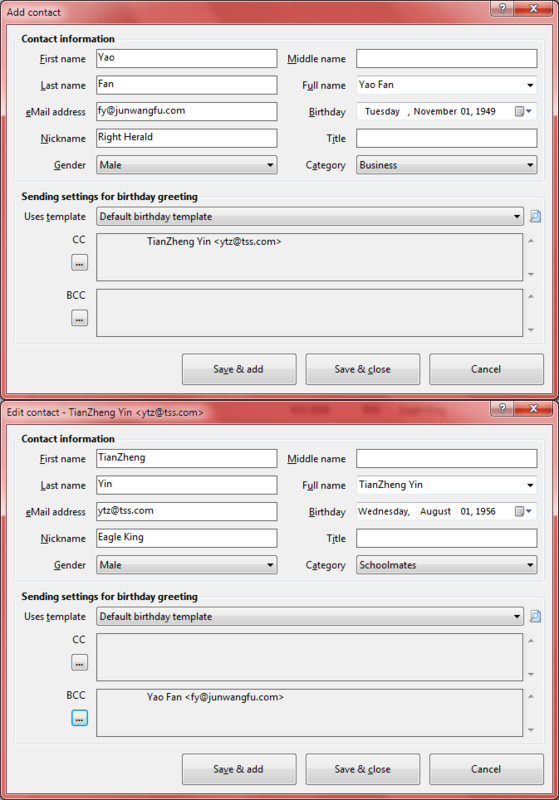 Contact editor - Adds or edits a contact. Search contacts - Searches contacts. Select contacts or employees - Selects the contacts or employees for use. 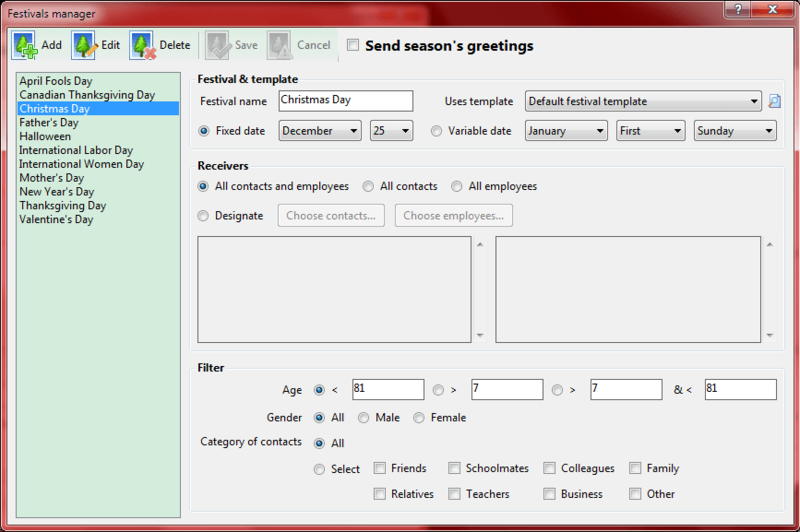 Multi-update - update the sending settings for the selected people in batch. Enterprise structure - Creates and manages your enterprise structure. Employees manager - Manages all your employees. 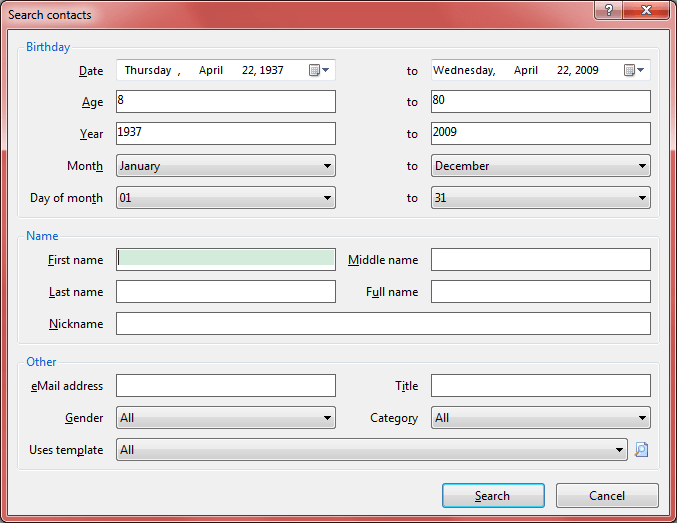 Employee editor - Adds or edits an employee. Select department - Selects a department for use. Search employees - Searches employees. 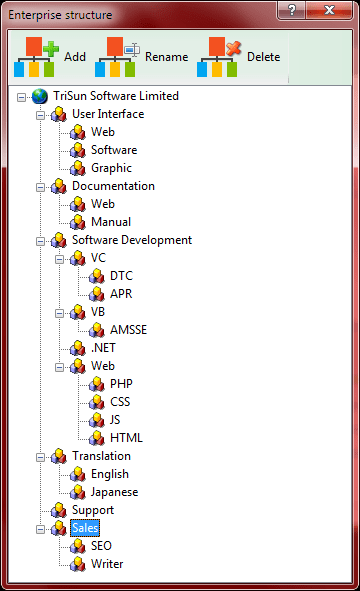 Import explanation - Displays the explanation of importing employees/contacts, also provides the example files for the common file types. 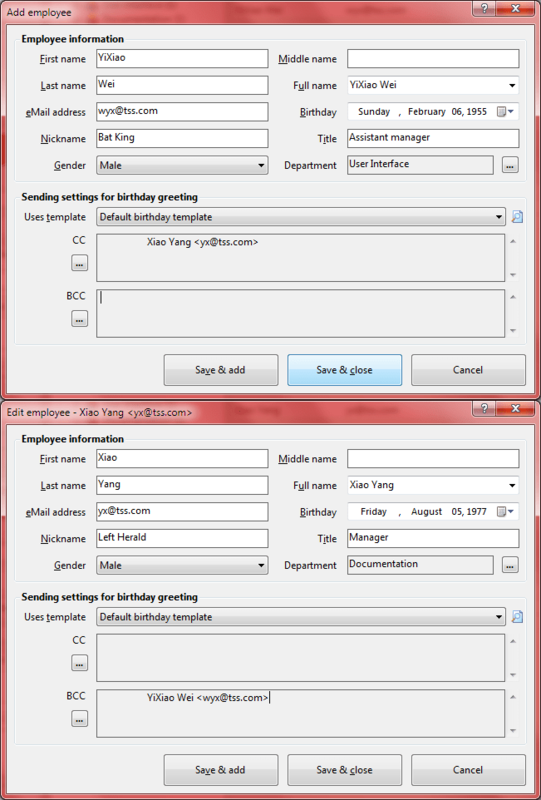 eMail templates manager - Manages all your email templates. 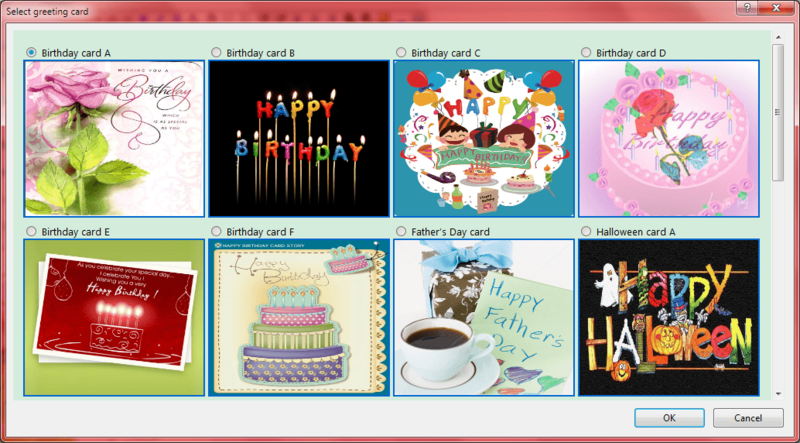 Select greeting card - Selects a built-in greeting card to insert into current email template. 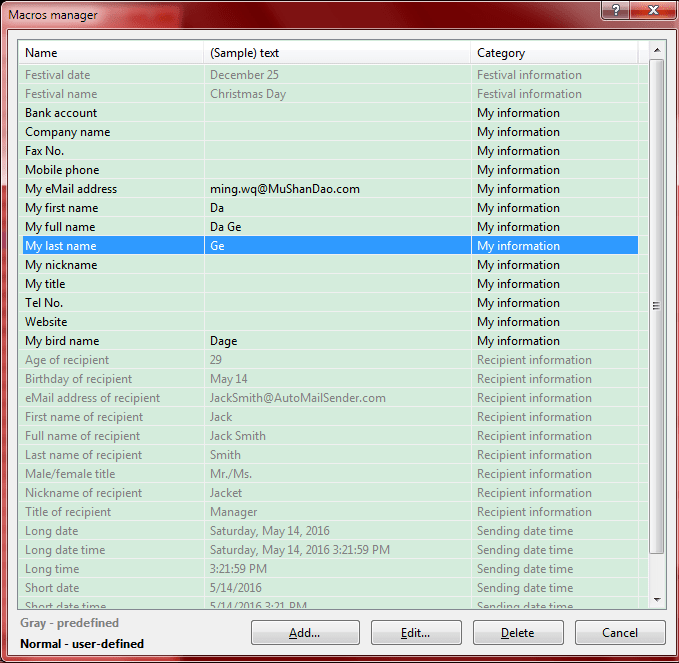 Macros manager - Manages all your macros, you can use macro to make the more universal email templates to reduce your workload. 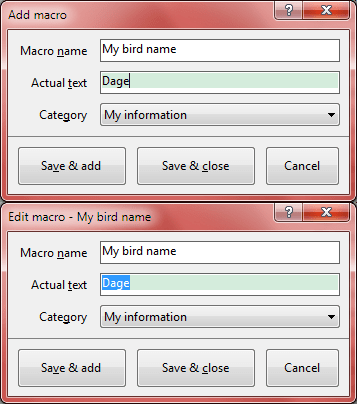 Macro editor - Adds or edits a macro. Festivals manager - Manages all your festivals. 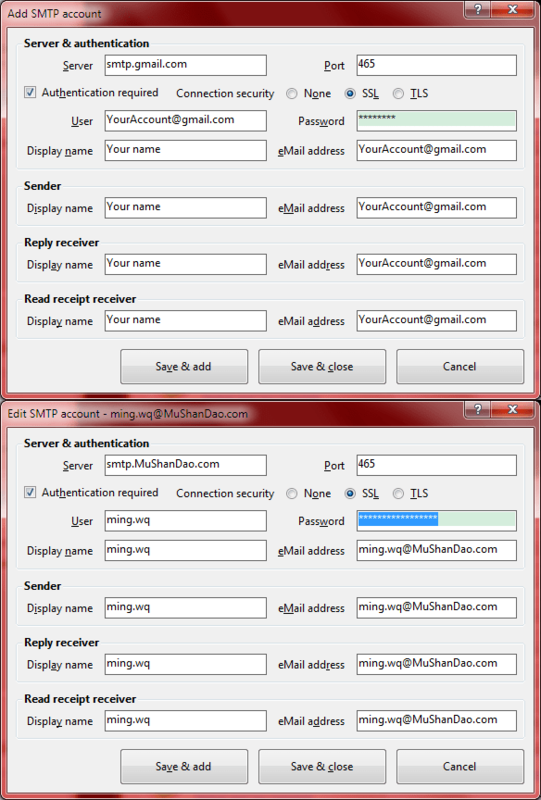 Options - Set your SMTP accounts, proxy servers, signatures and other preferences for using AMSBE, writing messages and sending greetings. 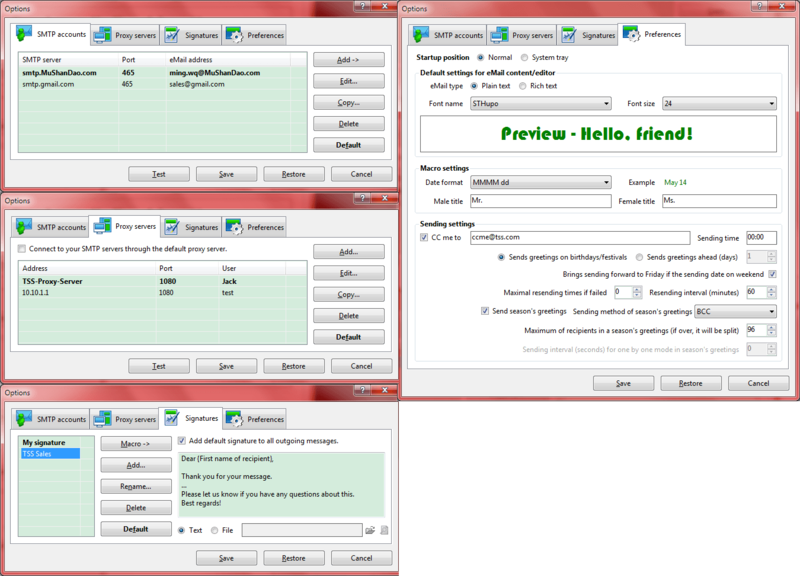 SMTP account editor - Adds or edits a SMTP account. 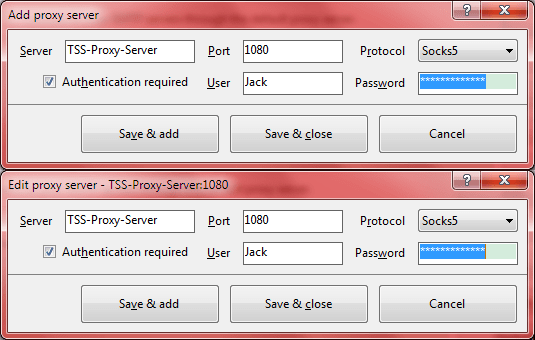 Proxy server editor - Adds or edits a proxy server. 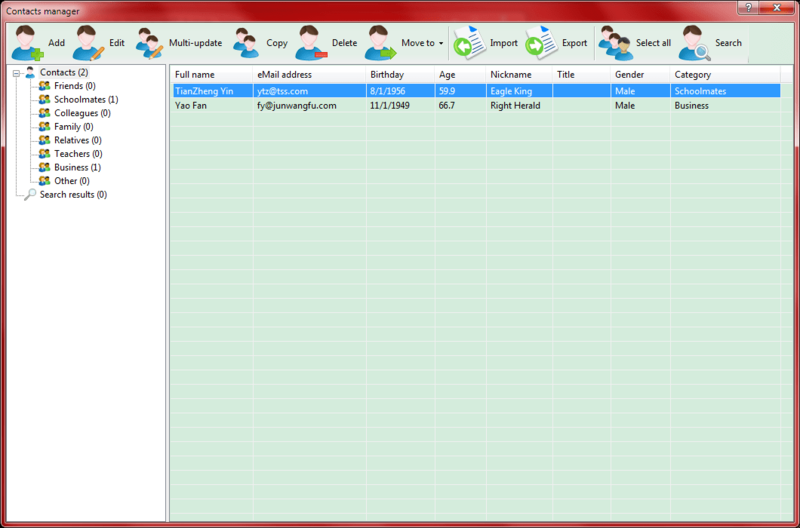 Queue and log manager - Manages emailing queue and log. 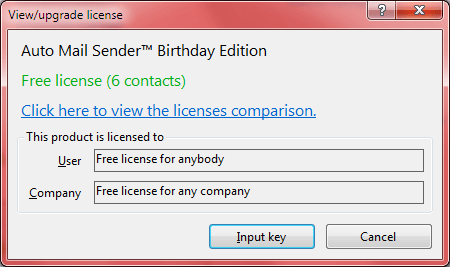 View/upgrade license - Views your current license type, [Licensed to] information, you can also input license key to upgrade to the higher license on this interface. 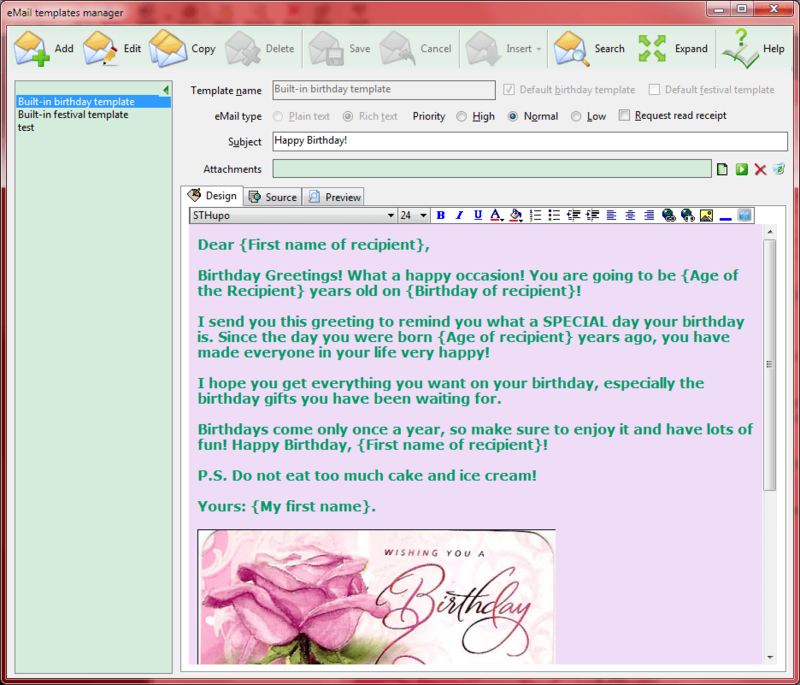 About Auto Mail Sender™ Birthday Edition - Displays program information, version number, copyright and license information. Splash - The splash interface, displays program name, edition, copyright, website and other information.